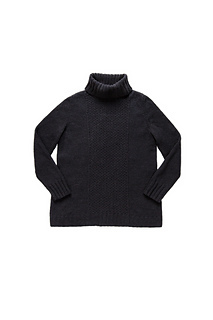 This workhorse sweater, embellished with a field of fine cables on the central panels, will see you through any busy day in comfort. 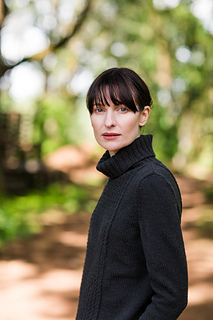 The relaxed A-line fit is easy to wear, and slim set-in sleeves and carefully tailored shoulders ensure a polished look. 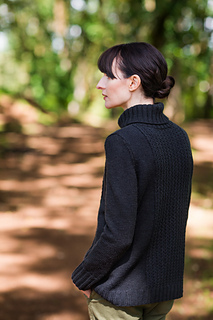 The three narrow panels of the front and back are knit separately, then sewn with an exposed seam for a touch of rugged texture. 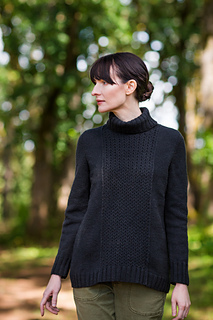 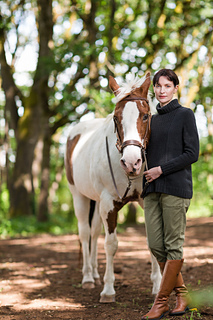 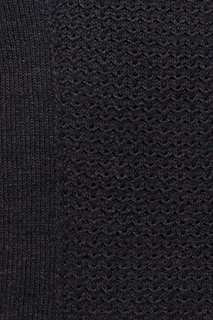 A classic close-fitting turtleneck in double rib makes Equus extra cozy. 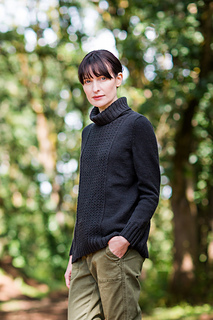 Porter black gives this sweater a sophisticated note; a bright autumn hue from the Arbor palette might lift your mood on a cloudy day.